Not only is this the top wine producing regions in the USA, but Napa Valley has become a popular wine tourist region too, adding to its fame. As a result, the region is visited by nearly 5 million tourists each year and is considered as one of the nine wine capitals of the world. The commercial production of wine in Napa Valley began in the middle of the 19th century. Since the climate of the region is similar to the Mediterranean, it was helpful in growing quality grapes in the area. The first wine made it to the local market in 1858, and the number of wineries grew to over a hundred by the end of that century. However, just like in many other wine producing regions of the world, the future held some nasty turn of events for winemakers. Most people who are familiar with the history of wine know that in the late 19th and early 20th century, wine regions around the world were hit hard by Phylloxera and Prohibition. Napa Valley was no exception and during the time of prohibition, some local winemakers resorted to shipping grapes to illegal home winemakers. When Prohibition finally ended, the region had already been devastated with no demand for grapes and the broken down working facilities to make wine. The resurrection of the wine industry in Napa Valley started just before the Second World War, and it was well on its way to recover after the war ended. The turning point in this process occurred in 1938 when a wine expert, André Tchelistcheff, was hired by the Beaulieu winery. André brought in several new techniques and procedures of winemaking to the Valley that included vineyard frost prevention, cold and malolactic fermentation and aging wine in small French Oak barrels. These new techniques made full use of the local climate and thus helped in an overall improvement of wine production. The rise to fame of the Napa Valley wine region began in earnest in 1960s. Around the world, wine had started to replace beer as the ‘ladies’ drink’ and the wine producers of this region used this opportunity to raise their market share by following this trend. However, the most important positive development for the same happened at the 1976 Paris Wine Tasting event. The Cabernet Sauvignon and Chardonnay from Napa Valley won in blind tasting, bringing critical acclaim to the region’s wines and established it as a region capable of producing world class wines. Further, in 1981, Napa Valley was recognized as the American Viticultural Area that helped cement its reputation and turned the region into a ‘brand’ successfully. 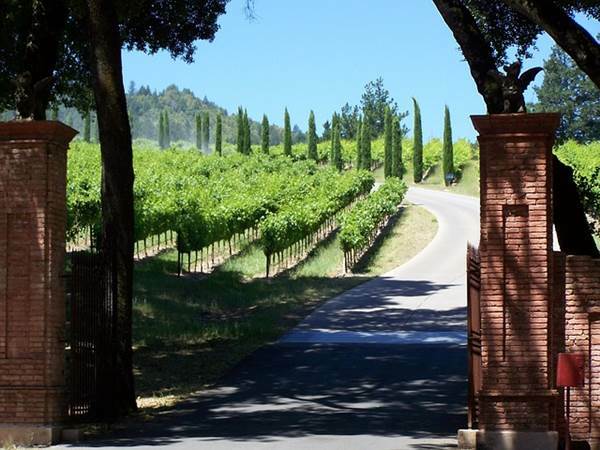 The Napa Valley region can be cited as a great example of hard work and dedication that managed to overcome a number of adverse circumstances and setbacks to rebound successfully in the wine industry. It followed a great disaster strategy for improvement and managed to modernize, first in 1930s and later in 1980s, to rise above the threats like Phylloxera and Prohibition. By continually adapting to new types of grapes over periods of time, Napa Valley today counts as the only region in the USA that not only resurrected itself after debilitating challenges, but rose to succeed in wine production on an international scale.